Bert Ogden Arena on Sunday, Aug. 26, 2018, in Edinburg. EDINBURG — The Bert Ogden Arena will officially open its doors for the first time Friday night, welcoming Mexican pop star Luis Miguel to christen the $88 million project that was made possible via a multi-entity effort. While it’s well-known that the city of Edinburg and the Edinburg Economic Development Corporation partnered with the Vipers to fund the multi-million-dollar project, Hidalgo County’s estimated $23 million contribution has often been overlooked, county officials said. In 2013, city officials approached the county to participate in a Tax Increment Reinvestment Zone, or TIRZ, according to Michael Leo, director of economic development at Hidalgo County. “A TIRZ is a designation that is placed around certain parts of undeveloped or blighted areas to encourage development,” Leo said. 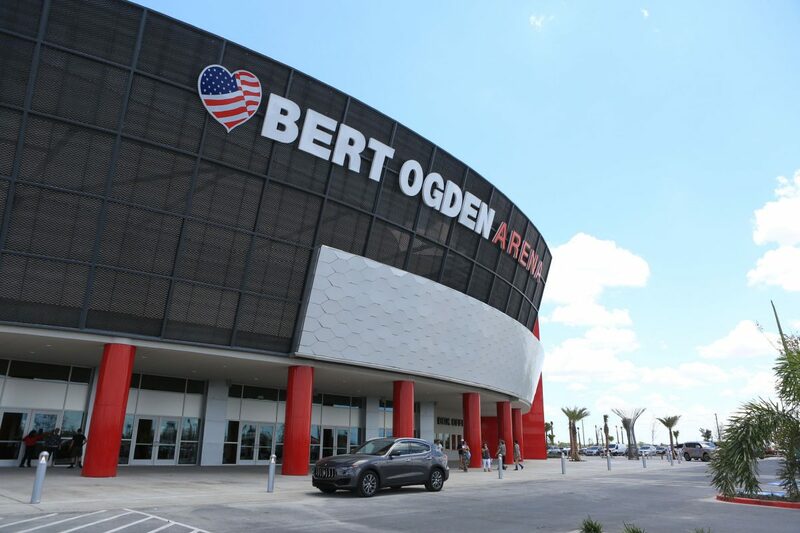 For the arena, the zone acts as a funding mechanism to help pay off the debt through Edinburg’s Local Government Financing Corporation, Leo said. As part of the agreement, the county agreed to forgo a portion of future property tax increments generated within the zone. When a zone is established, the county takes a financial snapshot of the property taxes the area contributes. As development occurs, taxes for the zone increase, with the economic incentives being the only difference between the snapshot and its growth.